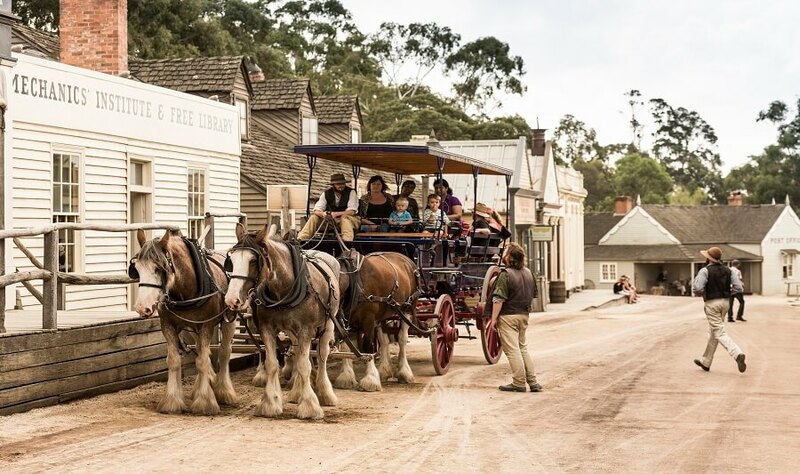 Sovereign Hill Gold Rush takes you back into the past, as we learn about the era of the Victorian Goldrush at Sovereign Hill, on our Ballarat Tour. The Ballarat Tour begins with a luxurious and comfortable bus journey over Melbourne’s West Gate Bridge, prior to arriving in Ballarat. 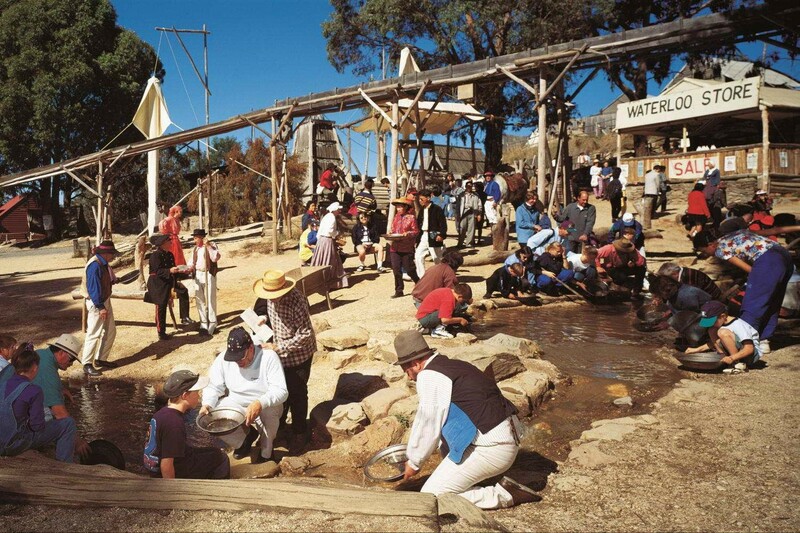 Sovereign Hill enables tourists to engage in a real-life goldfields experience, which dates back to the 1850s. Ballarat is a historical part of Victoria’s proud history. The town of Ballarat is dominated by various tree species, which line the streets of prestigious goldrush era housing. 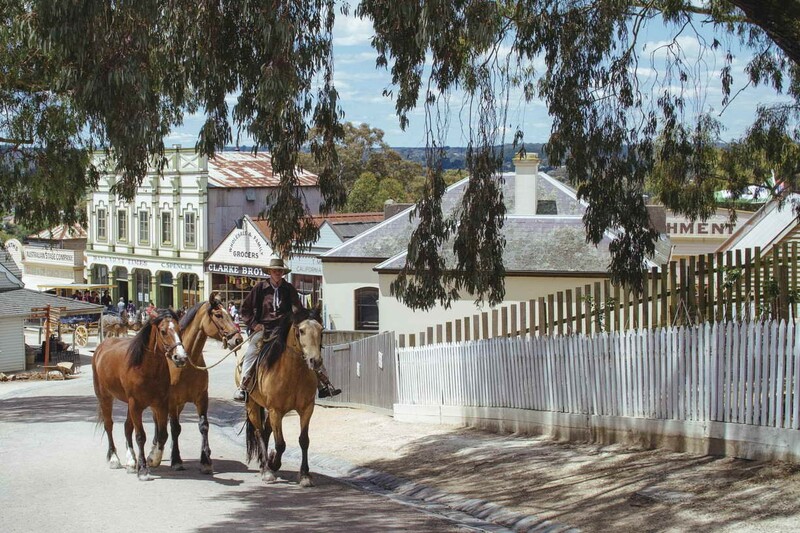 Sovereign Hill’s historic significance is an experience awaiting you! 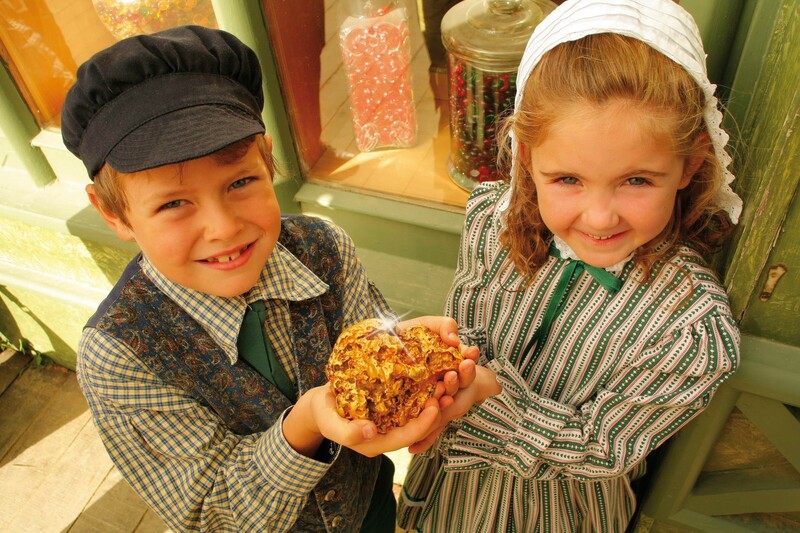 The township of Sovereign Hill takes us on a journey back in time to the 1850’s gold rush era. The houses, shops, hotels and blacksmiths within the area are all designed to replicate the gold rush era. 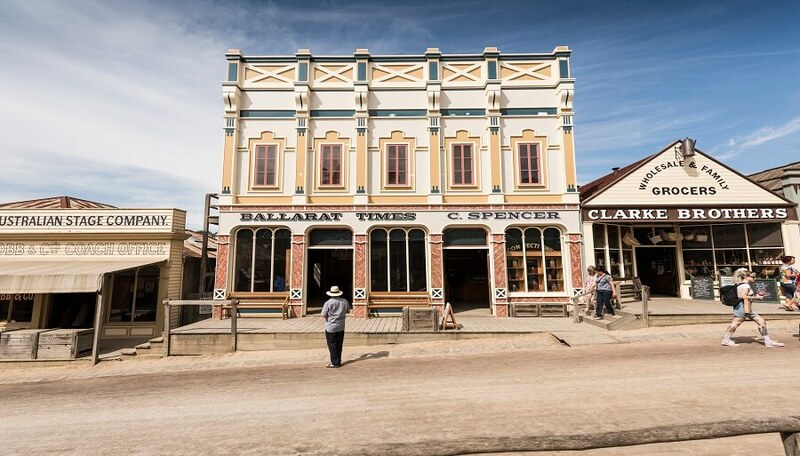 The Ballarat Day Tour enables you to experience for yourself the living conditions in Sovereign Hill during the gold rush period. The Eureka Stockade story is an event of significant importance in Australia’s history. 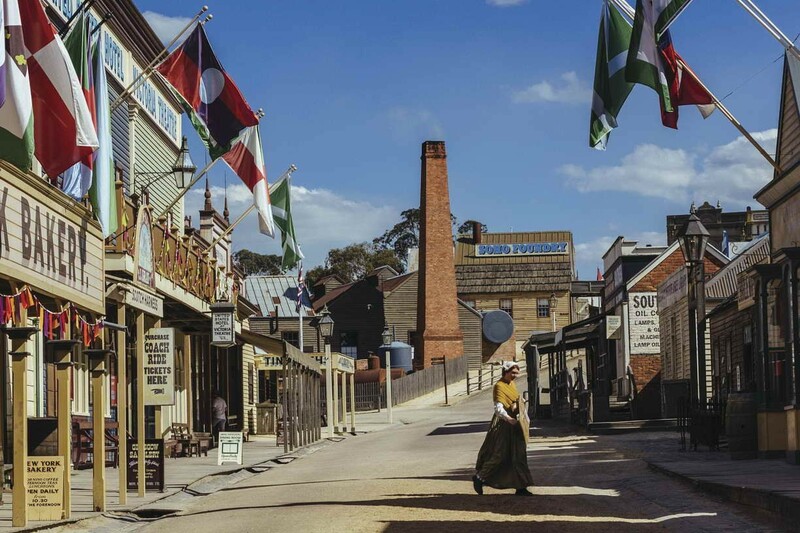 Upon arrival to Sovereign Hill, you will learn of the event, highlighting the government taxes which were placed on those who were searching for gold at the time. An armed rebellion fought for change during this period, which resulted in the death of a total of 22 miners and five troopers. The event is known to have changed Australia with the introduction of a democratic society. The Red Hill Mine Tour takes us on an exclusive journey down to the depths and darkness of mining. Mining enabled the discovery of a large proportion of gold during the goldrush era. The Red Hill Mine Tour introduces us to the famous “Welcome Nugget”. Gold Panning was a technique of searching for gold during the 1850s. 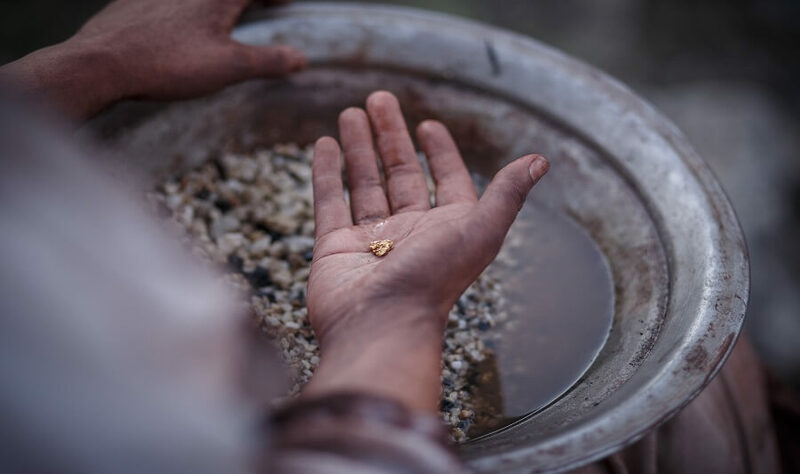 At the Gold Panning site, experts will demonstrate and provide you with tips and tricks in panning for gold, then you can have a go yourself! Workshops are featured throughout the Ballarat Day Tour. 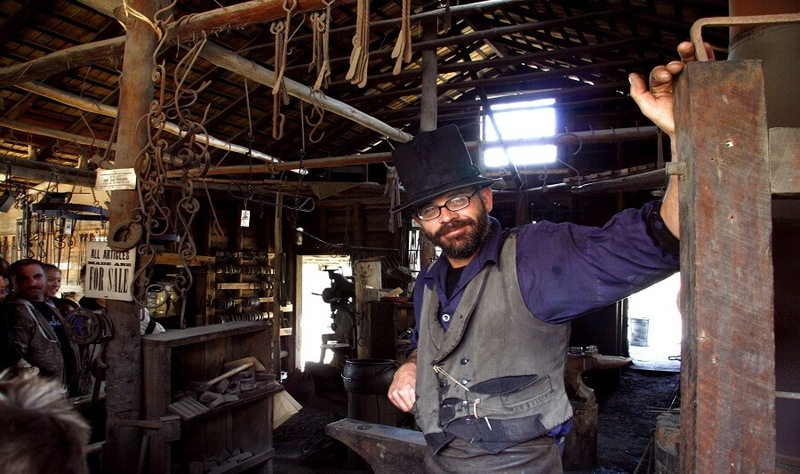 You will embark on an opportunity to learn and develop new talents such as blacksmithing, candle making, gold pouring, and wheelwrighting, just to name a few! 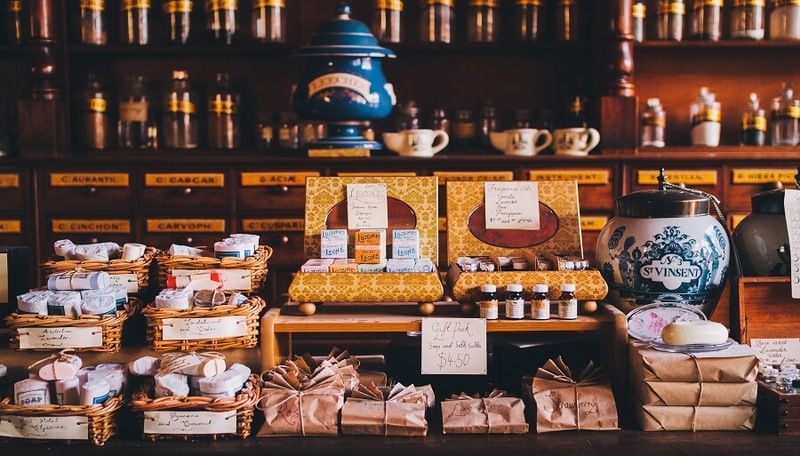 LUXURY COACH TOUR - Ride the Puffing Billy Steam Train through the Dandenong Ranges. Surround yourself in wildlife at Healesville Sanctuary.